I am so glad I came across this tutorial. 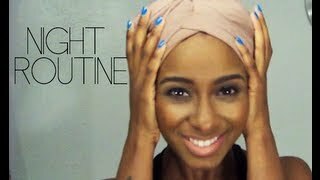 I have been doing my night time routine way too complicated, but this one really makes it simple. Since I have adapted this mehtod I have even been receiving way more compliments on my due. One of the key aspects that I liked the most was how simple it is. Ambrosia takes you right through what you will need as far as products and also walks you through all the steps, and the outcome is absolutely beautiful. Check out this video and let us know what you thought of it. I have included a listing if the products in the video below should you need to find any of them.